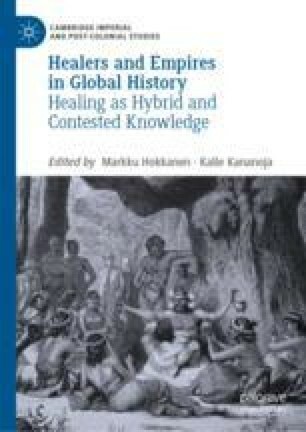 This chapter discusses the evolvement of medicine and healing in Brazilian history from the mid-seventeenth to mid-nineteenth century, demonstrating how the shift from humoral to hygienic medicine impacted attitudes to folk medicine and charlatanism. Notably, the image of Amerindians and the valorisation of their local herbal knowledge changed little over time. The different waves of migration, majority African from the sixteenth to the early nineteenth century and European from the mid-nineteenth century, had an impact on healing landscapes in urban and rural Brazil. Nineteenth-century Brazil proliferated with charlatans of different origins, who found a lucrative market for their cures. At the same time, Afro-Brazilian healing practices were increasingly marginalised and persecuted as health became a state concern.